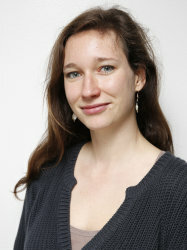 Florence Gschwend is a RAEng Enterprise Fellow at Imperial College and co-founder and CEO of Chrysalix Technologies. She received her BSc in Chemistry from the University of Basel, Switzerland. After internships at the West Pomeranian University of Technology in Szczecin, Poland, and Syngenta in Basel, Switzerland, she moved to London to do an MRes in Green Chemistry at Imperial College London where she worked on ionic liquid droplets as mircroreactors under the supervision of Dr. Jason Hallett and Dr. Phil Miller. From September 2013 to June 2017 she worked on her PhD project at the Chemical Engineering Department and the Grantham Institute under the supervision of Dr. Jason Hallett and Dr. Paul Fennell on the use of CCA-treated waste wood as a raw material for biorefining using ionic liquids. As part of her PhD she also spent two months at JBEI where she worked on hydrothermal treatment of algae residue and lignin together with Dr. Anthe George. Since finishing her PhD she has co-founded Chrysalix Technologies to commercialise the ionic liquid based biomass fractionation process she worked on during her PhD.